You can now join a Space Engine server on Discord. Discord is a web-based (but there is a desktop client too) application meant for chatting/speaking. 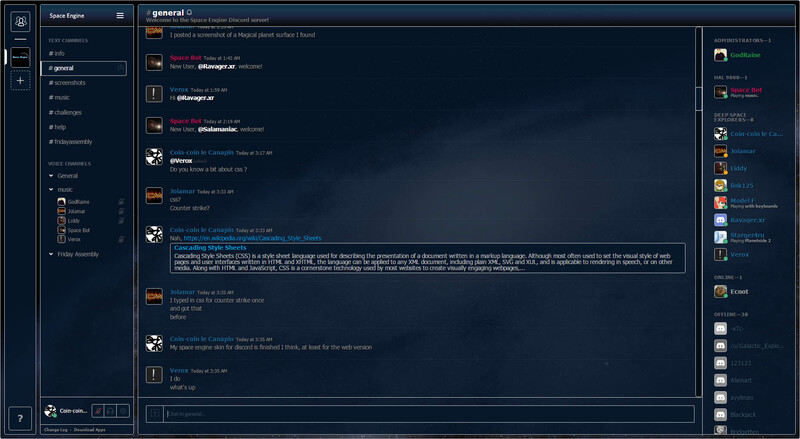 It's kind of Teamspeak mixed with IRC, with a neat interface. This link should be added in the Space Engine subreddit sidebar soon. This is unofficial, and everybody's welcome!